A few weeks ago, I shared my experience with the amazing limited time offer to receive 100,000 Membership Rewards points from an American Express Platinum credit card. My card arrived just a few days later and I began to sign up for the benefits. One of the best benefits is the $200 statement credit. This knocks the annual fee from $450 to $250 in my opinion. Not to mention, there are ways to get two of these credits over the period of one annual fee. There is also the Global Entry credit of $100. For a card with a high annual fee of $450, I easily get $350 in value off the bat. Not to mention the airline lounge access to American Airlines, US Airways, Delta and through Priority Pass Select. To receive the credit you first have to select an airline to enroll in the airline fee credit benefit. I selected American Airlines and then received the following message from American Express confirming my selection. 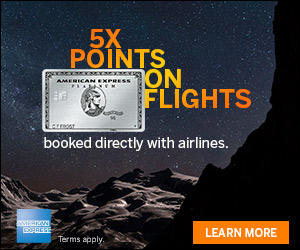 One widely reported way to receive the credit is to purchase $200 in American Airlines gift cards. I’ve never purchased airline gift cards for the $200 statement credit before, so I can only go by first hand reports that it works, even though the T&C states otherwise. But I decided to give it a try, the worst that could happen is I’d be stuck with a $200 American Airline gift card that I can give away here or use for personal travel. After my gift card order I received the following message from American Airlines confirming my order. I’ll report back in 2-4 weeks to share if the $200 was credited back to the card or if we’ll run a giveaway here on the blog. It’ll be a win / win in either scenario. You’ll know that the method works or you’ll have a chance to win a $200 gift card for American Airlines. 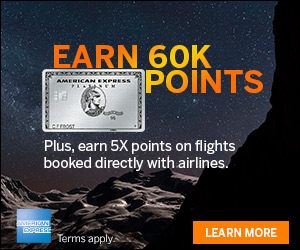 If you got in the on 100,000 Membership Rewards offer for the Platinum American, what did you use your airline fee credit for? i used for $200 UA e gift card. the global entry fee is only a one time deal, not annual. I try to limit the amount to 50.00 per card. Good luck and let us know if 200.00 clears. I got the 100k offer. I chose AA as my airline. I waited 3 days, then went online on the aa site and bought $100 e gift cards doing one per transaction. 3 days later I recieved 2 $100 credits from amex. It does work on 100 e gc’s from AA. I ordered 2 $100 e gift cards the day after getting the card. I had a $200 credit in my account 2 days after the purchase. per flyer talk, last week I purchased one $200 e-gift certificate on United airlines and was credited for $200 a few days later. Split my $200 credit up into (4) $50 UA gift certs and got the credits 2-3 days after each purchase…just waiting on the final credit (as I only purchased the last $50 GC yesterday). Good luck w/ the $200 one…if that doesn’t work, try $100 or $50 increments! On the 100K deal two weeks ago: ordered two $100 US Air GCs, charge went through on Wednesday and received the $200 credit back from Amx on Saturday. Despite a lot of success people are having with AA E gcs..I for one have had no luck in getting it and waiting for it since 10+ days for a single $100 e gift card. For United, they instantly gave me credit for a $200 gift card. I have written to customer service..lets see what happens. $200 UA one time card works, just did it last week. Didnt have to split anything. Bought one $200 UA GC, refunded a few days later. Could any of you let me know if there are any advantages of having one $200 gift card vs four $50 cards when you use the gift cards? I thought they are same. I am just curious. Thanks! 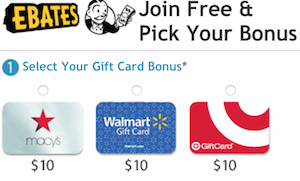 can a United gift card be used for late booking fees or flight change fees? Its a nice score because you can hit the 200 x2 if you decide down the road its not for you. 100k pts even if they are MR pts is still excellent. I booked reward travel for a family of 4 on United and needed to do it by phone. The total fee (booking, tax, fuel, etc) was about $400. I was just hoping to get the $25/ticket for the phone booking refunded but was able to get the full $200 credit refunded for this booking. Therefore, if you are planning to book an award travel by phone, see if this works rather than collecting more gift cards.